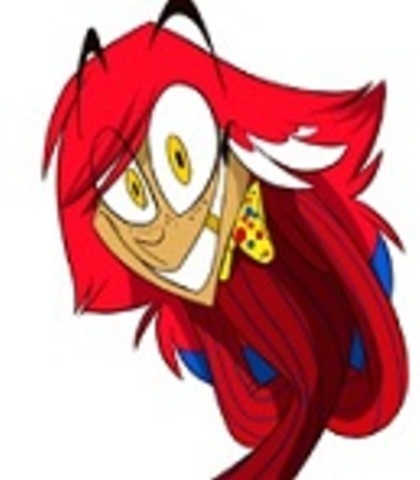 This is a Broadway/Song singing group for the webcomic Zoophobia and it's creator Vivziepop. 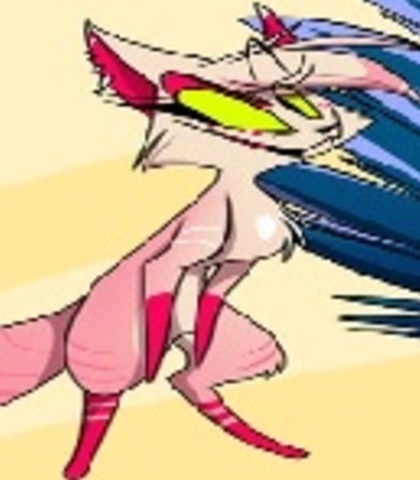 If you aren't familiar with it, Google it and check out Vivziepop's tumblr because her comic and art is super creative and can appeal to many! And since she is a super big fan of Broadway and all other types of music (as well as creates her characters from such music) I thought it be really cool to make a tumblr that showcases her characters singing, Broadway and non-Broadway songs! 3)Be dedicated and positive. I've been in a Broadway-tumblr group before and it was short lived because of lack of dedication, we lost communication, and we all didn't spend the time to get to know each other and become friends. 4) Also, musically, let's critique and help our team for the best sound possible from each other! 6)If you have questions, don't be afraid to comment here or email me. I love answering questions and helping out anyone interested! 7) Lastly, send in songs on time! Thank you for reading all of that and I'll leave you guys something that may help you in the auditions! There are many, many more characters in Zoophobia that are not in these headcannon videos. I will not cast them unless I'm sure of what a headcannon voice of theirs would sound like. So if you know any characters I did not add and you know their voice, then please either email or comment below the character and voice. Thank you, and happy auditioning! You can be casted as more than one role! But that depends on the diversity of your voice. JayJay (formerly named "JiJi") is part of the "Party Dawgz", a werewolf pack of party nomads. 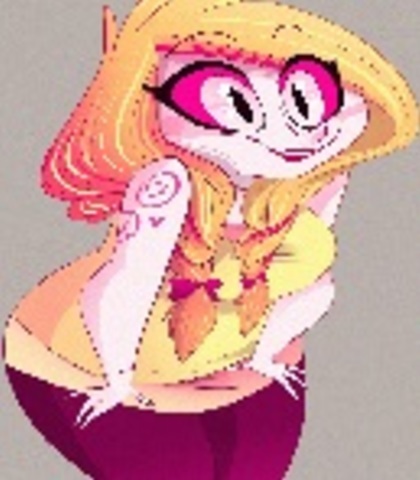 She is the by far the most famous and popular character is the Zoophobia fandom, featuring in the music video "Die Young" on YouTube. 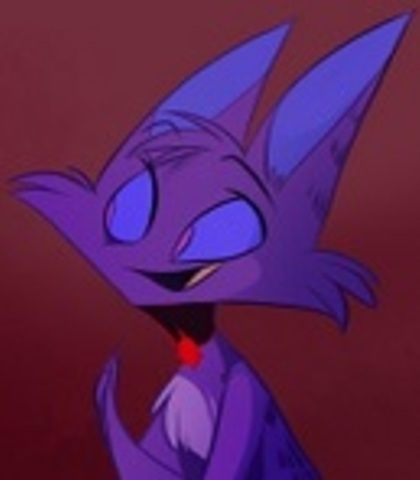 JayJay can sometimes be loud or overbearing, but means well to her friends. She super social and extroverted, friends with pretty much everyone in her pack. J.J. can be very crude, and is very rough from spending a lot of time with her clan brothers. She sometimes plans parties with Spam to invite other people of Safe Haven to her clan's parties, has protective brothers, can't resist joining a party when she heard one happening, and is confident with her body though tends to be careless of the accidental destruction she can cause. She's also a feminist, loves to sing, and grew up on a farm when she was human. So she loves nature, getting dirty, and simple living. However, when she was turned by the Alpha herself, she eagerly and quickly adapted to the party wolf life style. 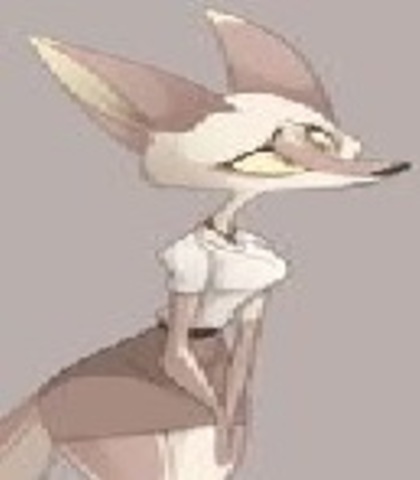 The sharp-witted and snarky Carrie is the creature studies teacher of Zoo Phoenix Academy, and deals with organizing outdoor activities as well as a Safe Haven animal controller (tends to the more primitive creatures in the area and the forest). She's nicer than she looks, but is closed off socially. But she isn't someone you'd want to mess with, that's for sure. Carrie's also had a rough love life and seems to have given up on love at this point, possibly due to a rough heart break. She seems to dislike Fabian for some unknown reasons. Keiko is the ditzy head doctor of ZPA, and is a rather creepy and ominous person in movement and appearance. 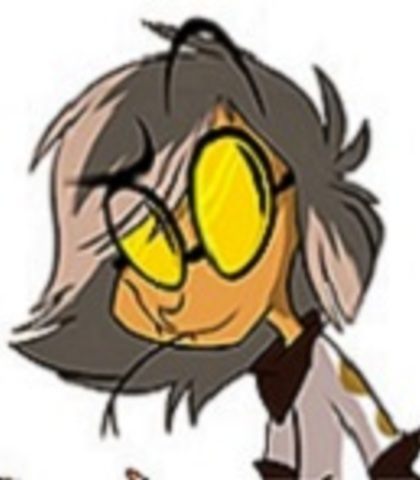 She's not particularly skilled socially and loves to scare people out of their wits. Keiko finds it hilarious, but doesn't really understand that fear is a serious thing. But Keiko is nowhere near malicious. She adores cute things and works well with her quirky nurse. 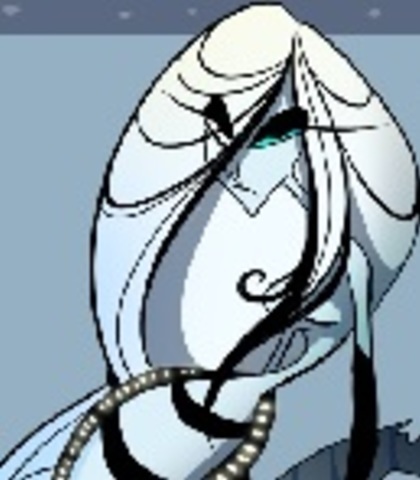 She is based on the Japanese folklore, Slit-Mouth Woman. 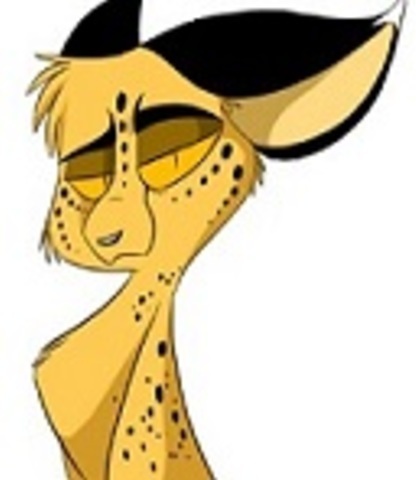 Zechariah is a peacekeeper of Safe Haven and the vice principal of Zoo Phoenix Academy. He's the ideal leader in terms of calmness, coolness, confidence, efficiency, and organization. He is, however, a bit of a mystery to the school (including the staff). Fabian is the suave, sultry, and very open minded psychology teacher of Zoo Phoenix Academy. Fabian may appear calm and collected, but he is secretly constantly trying to escape the reminders of his wildly adventurous past. So despite his looks, Fabian is well into his 40s-50s. Due to his past, Fabian has a long list of enemies. He's close, if not best friends with Zechariah. Spam is the random, lovable, and trolling fuzzball of the group. 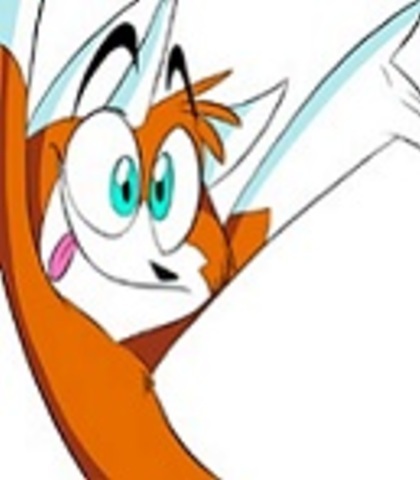 He's a fun-loving, energetic and happy-go-lucky fox. Spam always looks on the positive side of things and enjoys the simple joys of life. He loves to pop out of nowhere and annoy Vanex and others sometimes (ex: licking their face, etc). But through and through he's the nave and carefree sort that's awfully excitable, and practically radiates sunshine and smiles. Quintin is part of the film club, is Sahara's brother, and he's a cool fantasy nerd! Quintin is very outgoing and social when he's comfortable and is an avid LARPer. He loves playing roleplay games with friends, but since he doesn't go out much he's shy around people he just meets. Luckily, Quintin is friendly and intelligent, extremely skilled at mathematics, special effects animation and coding. He even dreams of one day becoming a wizard and has a bit of skill at the art, though isn't as practiced as his adopted sister, Sahara. He's best friends with Kimberly. Nicknames being "Leo" or "Lenny", Leonardo is the twin brother of Vincent. Lenny is the more theatrical of the two; he loves stunts and explosives for action scenes, and is much more eccentric than his brother. He also enjoys slapstick humor and loves movies that are more artistic than having actual plot. Unfortunately, he's not naturally smooth with the ladies and is more shy/awkward when flirting. But he only ever flirts when competing with his brother. Him and his brother get along well and are constantly on the same brainwave. They are both comedians and fans of comedy. Taylor is a student of the drama club and dance club. He considers himself to be a ladies man. Taylor tries his hardest to be the cool guy everyone knows and the guy that everybody wants to be. He's pretty much cocky, arrogant, a childish Casanova wannabe and is actually the best dancer in class. 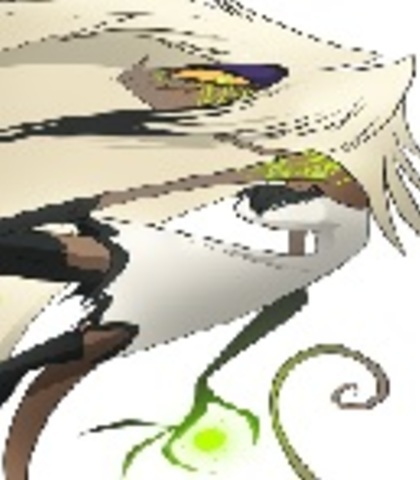 However, he's jealous of Zill and sees him as his rival but Zill doesn't think the same. Simon is the caretaker of the vampire sisters and loves them like they were his own. He's a vampire himself and works for his mistress, whom he is in love with. Simon is a master of snark and pronounces his "S"'s with a hiss. but also goes out to meet with "ladies of the night". However, he has a dark history with Fabian and hates him deeply. Francesca is the eldest of the three vampire sisters and seems to be the most mature. She's flirty with ladies and smooth, laidback and cool with her friends and company in general. She's also an independent shop owner in Safe Haven. Sahara is one of Damian close friends and part of the film club at ZPA. She's one of the few humans there and has an interest in magic, though she is still rusty on the arts of it. She's spunky, sassy, silly and stands up for her friends and against things that don't seem right to her. She was orphaned at a young age and was adopted by Quintin's family. Hilda is the Head of the House at the Hell royal palace. She manages the royal household and cares for its residents. Despite her indomitable nature, Hilda cares and loves Damian and his family deeply. 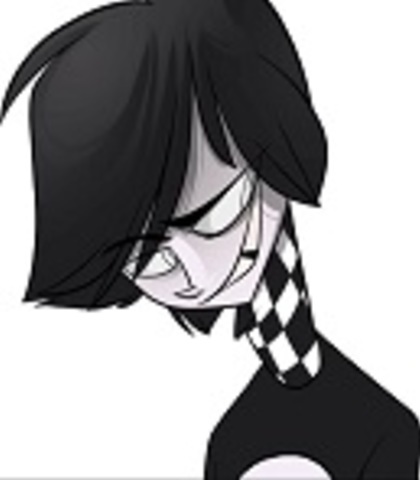 However, she does not care much for Major Styx and Tentadora's undisciplined ways of raising the Dark Prince Damian. 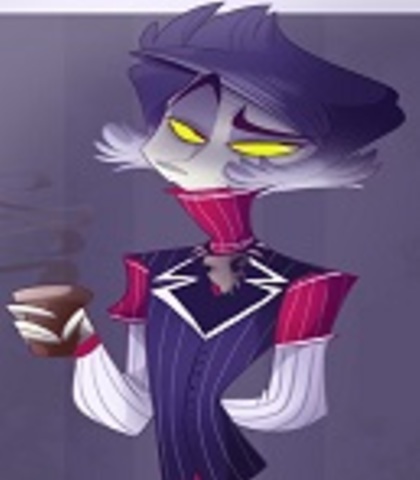 Marx is Hatchet's brother, but they aren't that close at all. Marx is a producer and works/associates with Castello and his gang. He's a grumpy, wimpy, and easily frightened man. Though his temper and grumpiness to get things done may work for him sometimes, other times it gets him into stickier situations and then he shows his weak willed side. Marx plays himself as a victim of circumstance when in the hands of Castello's dirty deeds. 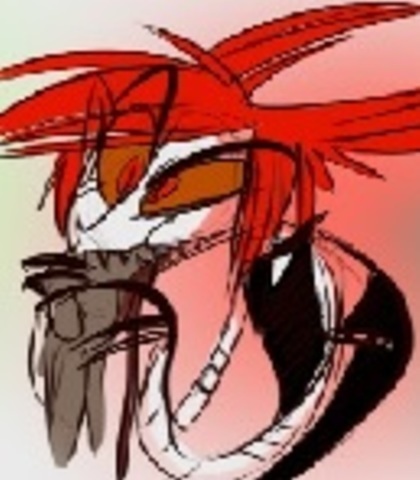 Major Styx is a stern, ultra organized and no nonsense right-hand man of Satan, as well as one of Damian's caretakers. He keeps Hell in functioning tip-top shape. Unfortunately, working with insufferably chaotic people usually leaves him with the blame and responsibility when things don't work out. This leaves us with a sour, angry, frustrated, screaming and yelling Major Styx. But deep, deep, deep down he does care and only wants the best for those he holds close to his little demon heart. Gustav is a graduate from ZPA and the love interest of Addison. He is originally a German-speaker and English is his second language. He is sarcastic, sometimes uppity, usually all talk and is very judgmental even when he has no idea of what he is talking about. 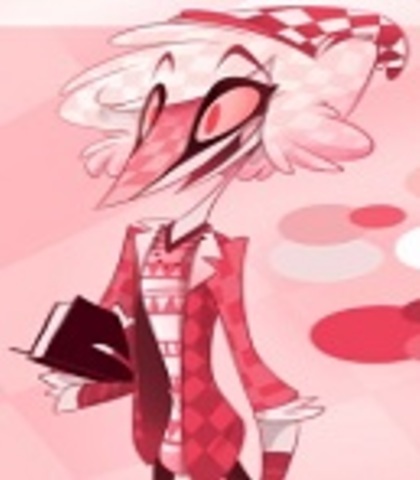 Gustav also studies theater (thought that is not what he's most skilled at) and has a secret passion for paleontology. He was raised by Marx and The Director. His voice isn't in any of the videos and I don't have any clip of what it may sound like. So, go for a snobby-German accent. 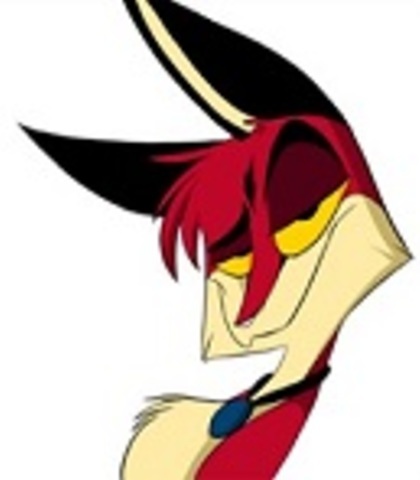 His voice range should be medium, and his singing a strong baritone. Alanzo is the head instructor of dance at Zoo Phoenix Academy and the husband of Jackie. He's an eccentric, zany, energetic, carefree and light-hearted person. With a boundless sense of humor, his manner tends to come off as strange and abnormal to others. Alanzo is cheerful and in touch with his feminine side, and is as silly as the students he teaches. Also seen as a source of much encouragement and patience with his students. 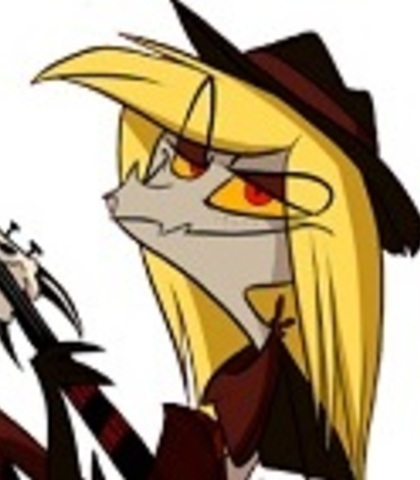 Niffty is another member of the "Misfits Gang", and she died in the 1950s. 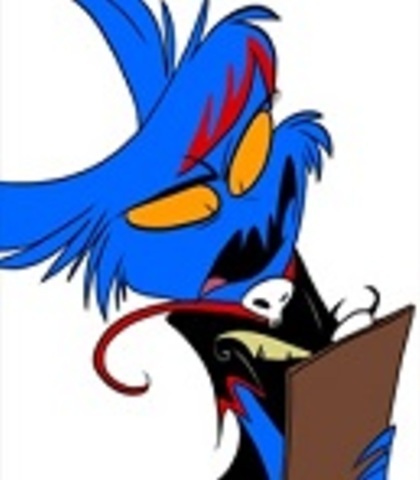 Niffty isn't one to necessarily start arguments and fights amongst her peers. However, she's a different kind of trouble. 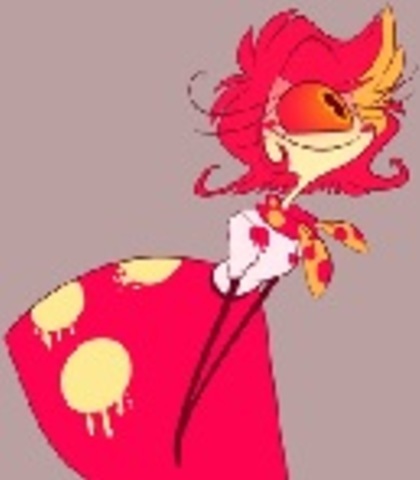 Niffty is a stalker, loves and obsesses over "bad boys" (criminals) and collecting all of there "Wanted" pictures (which she then posts onto her bedroom wall), she is obsessed with romance and writes love songs all the time that she then proceeds to play on her guitar. This is what annoys everyone, especially Angel and Vaggie, whom are the known members to argue and fight with Niffty a lot. 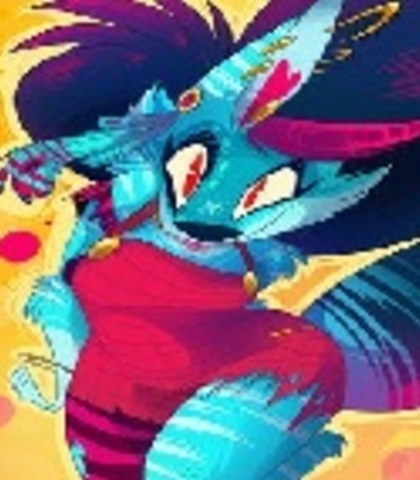 Though, no matter how hard you try to hurt her physically, Niffty isn't easily phased and turned away from a situation when it comes to love and singing. She's a real creep, she is. Elijah is Damian's boyfriend. He loves to socialize! He usually acts silly and is rarely seems upset or serious. Elijah works at a 50s themed diner, can be shy around his crushes, is very physically affectionate, likes to make funny voices and improve, and enjoys goofing off online. He's easily excitable, laughs a lot, loves to make YouTube vlogger videos and drawing comics. His voice isn't on the links, but an example of his voice would be "Hot Chelle Rae - Tonight Tonight". Bambi is the second sister of the three vampire sisters, and is the sweetest, kindest, and caring of the three. She loves to bake and to share her baked goods with others as an independent bakery shop owner in Safe Haven. Hatchet is a fun loving and free-spirited dragon. He hunts rabbits, kills and eats them for fun. He's loud, always laughing and easily distracted by the things around him. Though he's friendly and willing to take any friends off onto some adventure, he's never around a female dragon for long in fear that they'll tie him down in case they may be "soul mates". His specialty is controlling fire, and his fiery personality is to match. Bozzwick is Damian's fake friend. Manipulative and devious, Bozzwick has a tendency to act without thinking and put himself before others. He gets bored easily and is blunt, as well as very perverse as he creates awkward situations and toys with people's emotional states. He's a heartbreaker, to say the least. 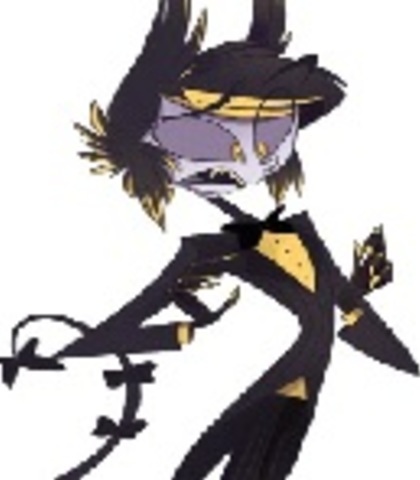 He also manipulates Damian's inner demon, has a spiteful relationship with the Dark Prince, and secretly enjoys making things hard for him or just upsetting him. He is also guttered mind and lusts after EVERYONE. Tom is an incubus, song of the head demon of Lust and twin brother of Tam (whom he has a terrible relationship with). He is also the love interest of Mackenzie. As an incubus, Tom is decent at collecting souls (mostly women), but like his sister, he finds it more fun to hunt after the same gender. The longer he goes "unfed", the more unkempt and manic he becomes, as well as dangerous and desperate. He has the ability to visit humans in their sleep and change his physical form to something more spiritual, but that takes lots of focus that he does not have. Also, being an incubus, Tom is bound to collect souls and wears a collar at all times to signify this. He is also a tailor and usually crafts dolls of his victims as mementos of them. His biggest flaw is his heart, so unlike his own kind, Tom is prone to getting emotionally attached to his victims and is very ashamed of this flaw. Usually he's scorned or rejected by someone he genuinely likes and he'll retaliate by giving them violent negative attention. So, he has killed some that have not returned his affections. He has a British accent and his voice should sound like Jim Sturgess. Camilla is known around ZPA as a "bad girl" of sorts and is actually the deer spirit of love and heart. 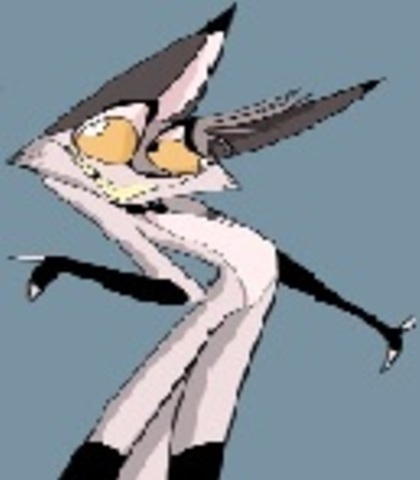 However, she loves and lives to dance, and is very skilled at it as she tries to explore every form of dance. She works as a pole dancer, leads a girl gang with her two best friends, is close to her "Cousin" Autumn, adores all things burlesque, and was held back at ZPA for her lack of academic drive. She hates her bad rep with her gang and that everyone thinks she's "easy" to sleep with, and is actually a hopeless romantic under her tough shell. Autumn is the "cousin" of Camilla and a seasonal deer (and shape shifter) that represents the season of autumn, and has siblings that represent the other seasons. He is a selfless person and spends almost all his time and energy helping others while not expecting a "thanks", and has very little self worth. He's used to being mocked, has nature powers, loves kids, is insecure about his own wants and emotions, wears fake glasses to feel smarter and often over works himself with helping others. And while he helps others so diligently, he struggles with depression and suicidal thoughts. Clarissa is Fabian's daughter and a mother to her own. It seems that her father wasn't prominent in her life growing up, but they are now trying to reconnect. Clarissa takes medication for anxiety, and is a very worried, anxious and nervous person. Crymini is the youngest and newest member of the "Misfits Gang". Crymini died when she was only 16 and died in the 1990s. She's a sassy, moody, short-tempered, bratty, and smart aleck amongst the others. When comes to creating interesting insults, she's your girl. Angel looks over her like a father would, and she has an admiration for JayJay. Still, she's a very loud-mouthed and hard to impress type of girl. Jillian is the Head of Hell's Royal Guards (I believe) and is a very powerful fighter. She is also a close friend of Jack's and his crush. It is uncertain if she feels the same for him as of yet, but what can be told of her is that she is a bit of a stick in the mud when it comes to work. Jill has a no-nonsense attitude to get things done and is annoyed with Damian frequently for being called too stiff by her or having to clean up his messes. But through and through, she's a reliable person and friend, kind and protective of her loved ones. Quiver is a cold, menacing, and calculating woman. She doesn't seem to like to share the spotlight with anyone, doesn't like to be told what to do and doesn't take anything from anybody. She enjoys the misfortune of those that oppose and/or challenge her. Angel Dust is another member of the "Misfits Gang". He died in the 1940s and is a notorious Mobster Spider Demon. Him and his brother are known around as "The Spider Brothers". 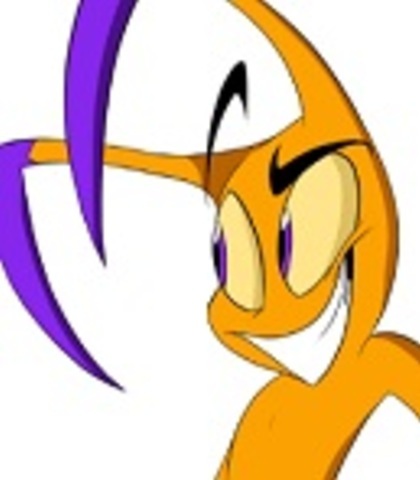 Being the extraordinarily looney character he is, Angel is a loose cannon, confident, brutal and bloodthirsty in battle, a prankster, super talkative, and known to annoy the hell out of just about everyone he meets. He's a sass master yet surprisingly nurturing to people he cares about and has a soft spot for kids and certain animals (ex: pigs, fish), however he's not very good at taking care of his pets. 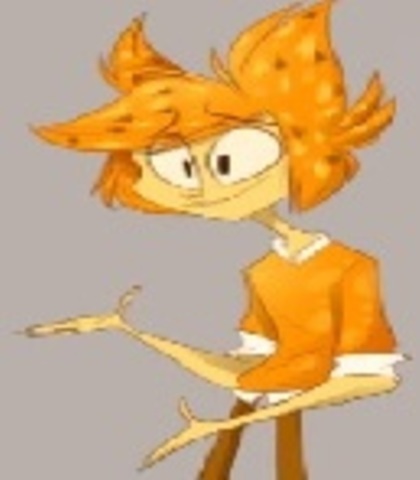 Angel is known in his gang to be very gender fluid and enjoys crossdressing and adopting female personas, as well as being promiscuous and not getting too emotionally connected to others. He also has some problems with abusing drugs and alcohol and is rarely sober. Angel is a strong leader though, and is very strategic. 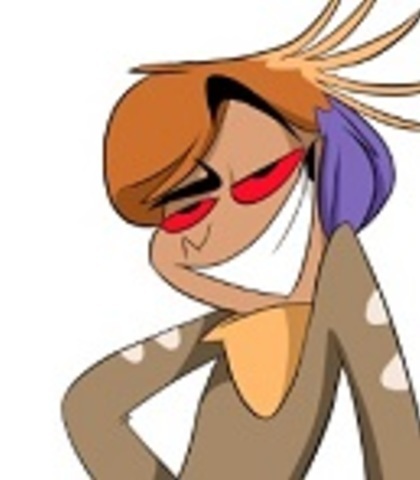 Zill is the all around great guy that everybody wants to know and every other guy wants to be. He's kind and caring but strong and focused. Zill is a natural performer and is in a relationship with Kayla. He has a forgetful mind and tends to be clueless of the indirect rivalries around him. He even has powers, but can't really control them completely yet. And honestly, he doesn't even know what he is. Niquie is part of the "Party Dawgz", a werewolf pack of party nomads. She is the tiniest but the spunkiest little ball of energy that aids JayJay with her songs. But she is better known for her sick raps and spicy personality. Kestral is a sweet and kind country kid and nephew of Jackie's. He's handy when helping others and is seen mostly around the background of ZPA. A lot of people love him, but for unknown reasons, Damian hates him. 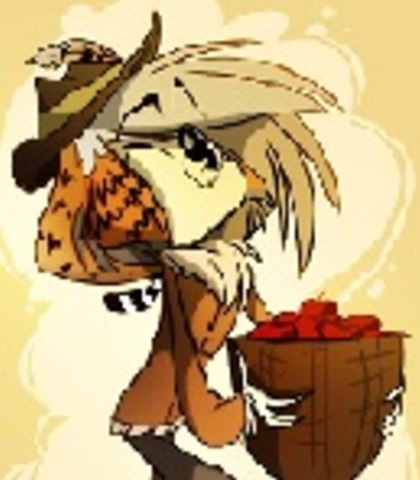 He's very active with tending to creatures and agriculture of Safe Haven. 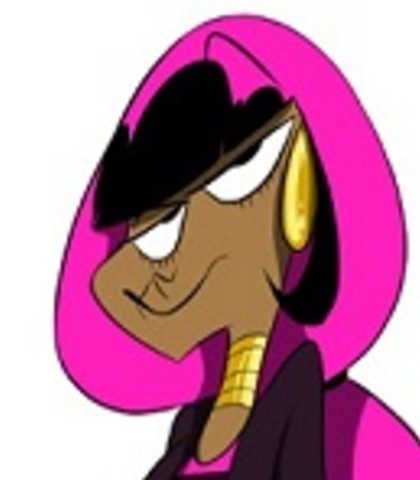 Cierra is the powerful, retired Queen of Crime" aunt of Zill. She spends her time training him. She's a very impatient woman and has no close ties with anyone. Cierra is also very hard to impress. 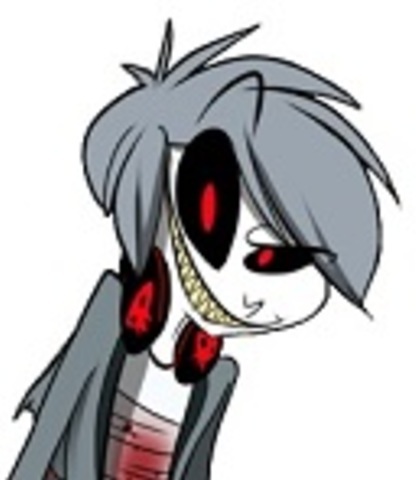 Tentadora is Damian's other and more liked caretaker. 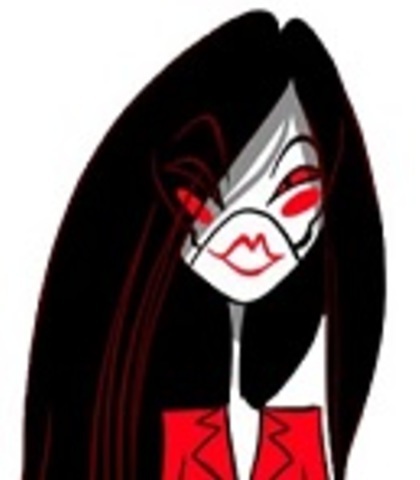 She was artificially created for the sole purpose of serving as a weapon of lust on the human world and lure more souls into corruption for Hell, but was reprogramed and adopted the role of being Damian's "nanny". Needless to say, she has fun with her task and she is extremely silly, fun-loving and nurturing of Damian.